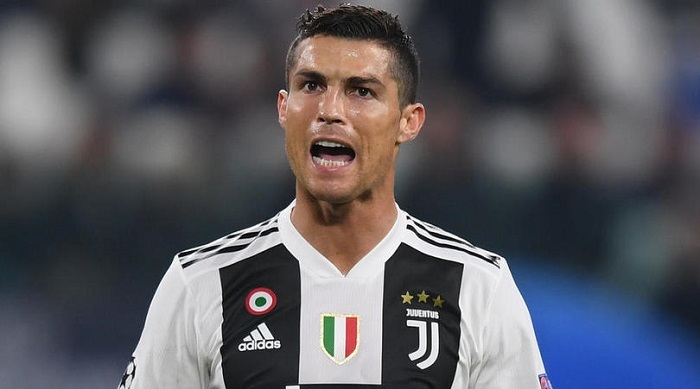 Juventus star Cristiano Ronaldo played down the significance of his team’s loss to Manchester United in the Champions League on Wednesday. Juan Mata’s free-kick and an Alex Sandro own goal saw United claim a surprise 2-1 win to end Juve’s perfect record in Group H.
‘It was an amazing goal after a very good pass [from Leonardo Bonucci] as well, but it wasn’t enough,’ he told UEFA.com. ‘I was very pleased to score my first Champions League goal for Juventus, but we’re in good shape. We’re top of the group, so there’s no need to set the alarm bells ringing. ‘The team is doing well both in the league and the Champions League and we’re going to keep working hard in order to go very far,’ he concluded.